By the time he sings his final number, Javert is a broken man. He agonizes over the mercy he has received from Jean Valjean, unable to believe that the man he has always seen as a cold-blooded criminal would give mercy where he himself never would have. 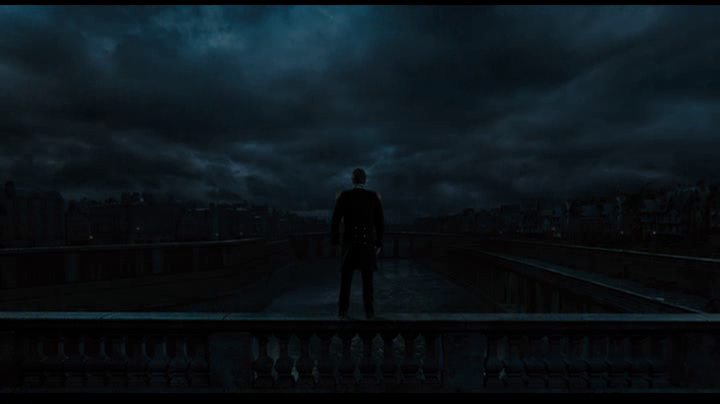 Up until this point, Javert's world has been completely black and white. The good, law abiding citizens against the evil, bloodthirsty criminals. Jean Valjean's act of mercy and his desperation to save Marius, have completely disproved his idea of who a criminal is. Javert realizes that the system he's upheld so passionately for all of his life is deeply flawed. He realizes, deep down, that despite his crimes, Jean Valjean really doesn't deserve to rot in prison. That's when all Javert's unfeeling behavior comes back to haunt him, and when he realizes he's sent hundreds to prison who were perhaps not so different from Valjean. My favorite part of this song are the final two stanzas, because they show a shell of a man who has had everything he believes in ripped apart. The audience finally sees a real person behind the cold mask of Javert. It's in these lines that you realize that Javert has always lived in a void. He's not the hero, but really, you can't truthfully call him a villain He has spent his entire life filled with self-loathing, trying to repent for his shameful background by ensuring that justice is served and the law is upheld. He has had nothing but the mad pursuit of justice to live for. Now, he believes it all to have been futile. When Javert finally lets himself fall into the Seine, he frees Jean Valjean. The chase that kept Valjean in constant fear, forced Cosette to have a lonely, rootless, secretive life, and slowly drove Inspector Javert insane is finally over. 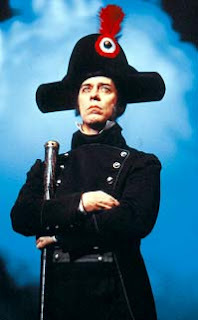 This rendition of "Javert's Suicide" is performed by the original Javert, Terrence Mann in 1987. He received his first Tony nomination for the role and is "the real Javert" for many. 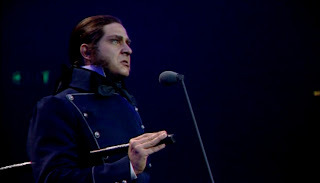 I think his voice is perfect for Javert because it's so clear and powerful, almost militaristic. This makes it all the more startling of a contrast when his voice falters in the final moments of the song. Above all, I love how he continues the note up until the end, rather than give a melodramatic scream. It gives me chills every time I listen to it!